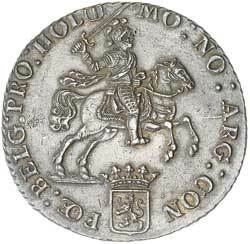 NETHERLANDS, Holland, silver rider or ducaton, 1791 (KM.90.2). Beautifully toned, nearly uncirculated. 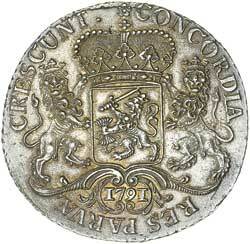 NETHERLANDS, William I, twenty five cents, 1825 (KM.48). Uncirculated. NETHERLANDS, William I, ten cents, 1827 (KM.53). Nearly uncirculated.